We have rolled out some new features to the site. As always, we’d love your feedback on these so please let us know in the forums, Reddit or Twitter. We’ve revamped the Skill Assessment games to make them more varied and more fun. You now need to return to the centre of the screen before the next target appears. This should assist consistency as you will always be aiming from the same spot. 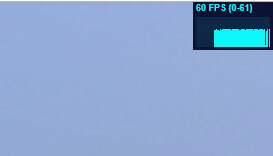 We’ve also made the targets reappear quicker allowing you to rack up higher scores. This replaces the old Free for All mode. Targets now reappear as soon as they are destroyed meaning there is no longer an upper limit on score. This makes the game feel faster and should help build quickness skill development. We’ve also swapped the targets models for a bullseye style. This is an entirely new mode replacing the old Single mode. 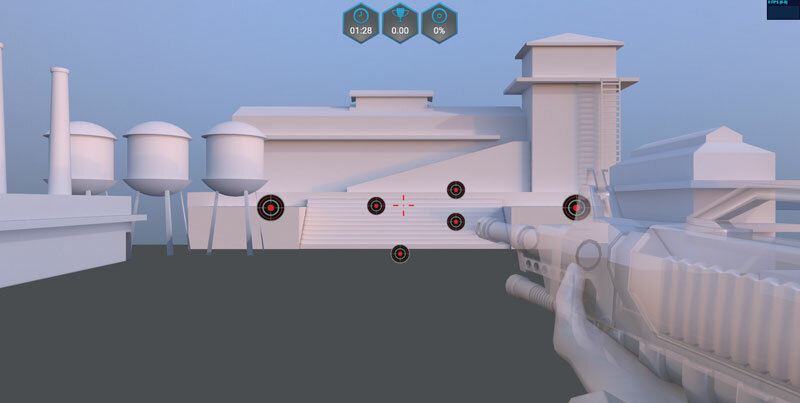 There are 4 targets at a time and you need to destroy all of them before new targets appear. We will add-in some moving targets to this mode in the coming weeks. All game durations have been reduced from 2 mins to 90s. 2 mins felt too long but let us know if you disagree. 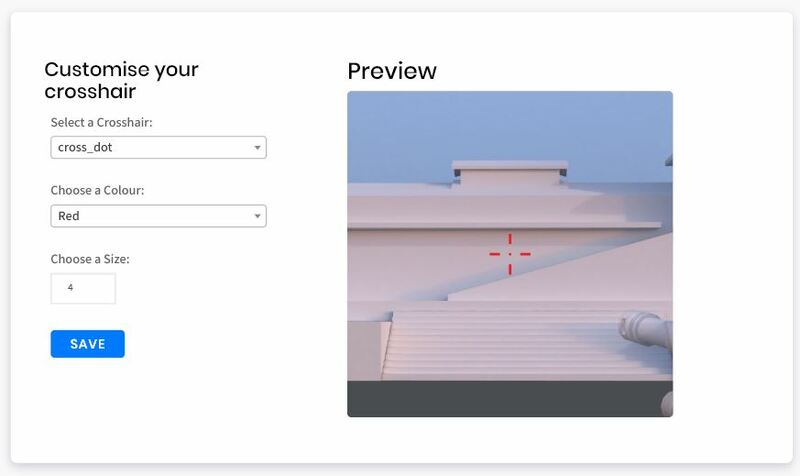 One of our most requested features - you can now customise your crosshairs. Please let us know if there are any styles/colours you'd like to see. 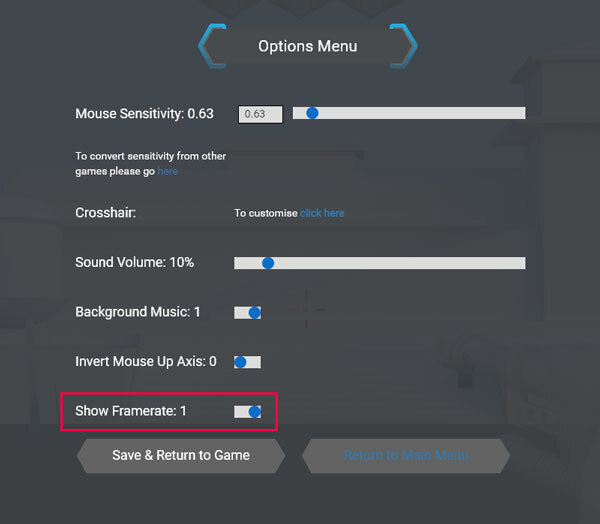 We have added an FPS counter which you can enable from the main menu. If you are having performance issues then check it out and let us know if you are struggling to hit 60 fps. You can switch it on from the in-game menu. All in-game options (including music and volume) now save properly. Notification System - so we can keep you up to date with notifications on the dashboard. Don’t forget to check us out on the forums, Reddit and Twitter.